Delivery time: 2-3 days. Choose your delivery times at the next step in the calendar. As fresh as homemade: untreated & without HPP! Please select the program of your choice and decide in the next step, which postal code your shipment should go. There is a new star in the Health Food sky: celery. This green vegetable has been on everyone's lips for a while now – its juice in particular! The health benefits attributed to the green miracle elixir are numerous. Of course we have tested the trend drink - and we are convinced! Experience for yourself what celery juice can do you good and join our SELLERIE CHALLENGE. 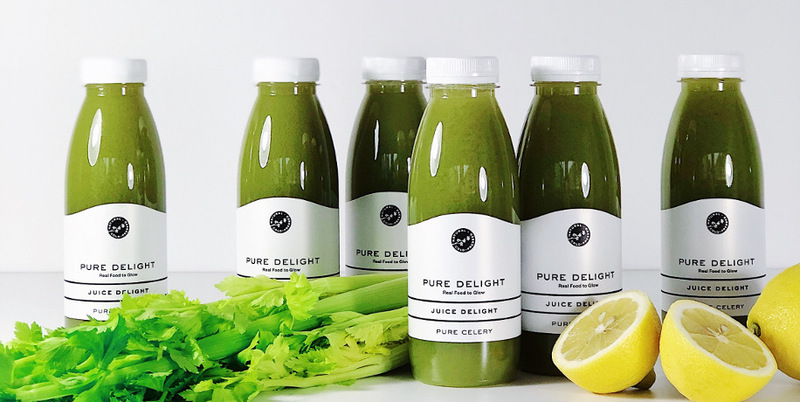 Drink one bottle (440ml) of ultra-fresh, cold-pressed celery juice on 6 mornings each for 2, 4, 6 or 8 weeks. Don't worry, it tastes better than you think, pleasantly hearty fresh and slightly salty. If you don't think you're ready for multiple weeks in the beginning, you can try it out for just 1 week with 6 bottles. For green juice “professionals”, we even recommend 6 or 8 weeks in a row. This is not only worthwhile for body & well-being, but also for your wallet, because with this program length we have reduced the weekly price. 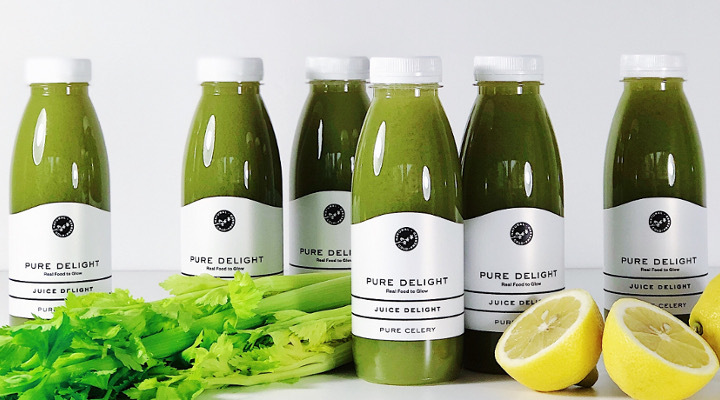 Delivery: In the period you choose, we will deliver a JuiceBox with 6 bottles of Pure Celery Juice once a week. The delivery will last you for 6 days. Please note that our Celery Juice should be stored refrigerated and consumed within the expiration date (after receipt approx. 7 days, see bottle bottom). Directions for use: We recommend drinking one bottle (440ml) of PURE DELIGHT Pure Celery on an empty stomach in the morning. It is best to wait about 15-25 minutes before drinking something else. Celery Juice also works excellently as a cleanse accompaniment: simply drink it in the morning before juice no. 1. Without artificial additives or preservatives. No added sugar. Freshly cold-pressed, NOT heated, NOT pasteurised and NOT HPP-treated. Products must be stored refrigerated (between +2C and +8C). Please enter your delivery ZIP Code to choose the next possible starting date in the calendar. Choose now the duration of your program and the day you want to start with it. ATTENTION: Delivery arrives usually by 12 noon on the selected delivery day. You can either start with your cleanse on the day of delivery (you can bridge the waiting time until the juice delivery with unsweetened herbal tea and lemon water), or simply start your cleanse the next morning.